Montmartre is one of those places that never loses its magical charm, no matter how many times you revisit it. This marked the fourth time I visited Paris, but this time I took my dad to Paris since he's never visited one of my favorite cities. I returned back to my favorite spots and headed straight to Montmartre. However, this time I took a different route to see all the various landmarks and was surprised at how there was still much left to see. One. On the lookout for good coffee? Go to Cafe Tabac / Cafe Genovese. Maybe I have a thing for Australian cafes because I constantly find one wherever I travel. 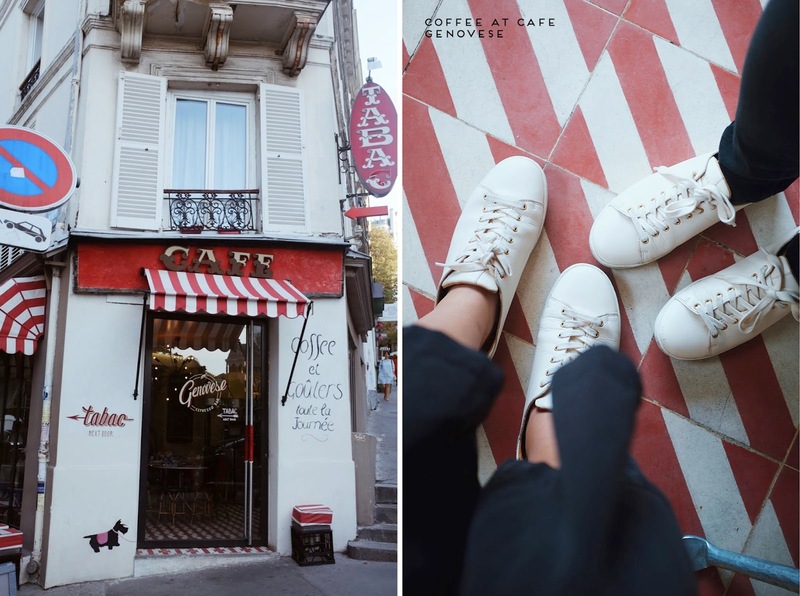 I discovered this coffee spot last time I was in Montmartre and was eager to go back. They have an array of magazines to flip through and the owner can speak English (which is a plus). It's a cozy spot to enjoy a cup of joe and give your feet a break from walking around. 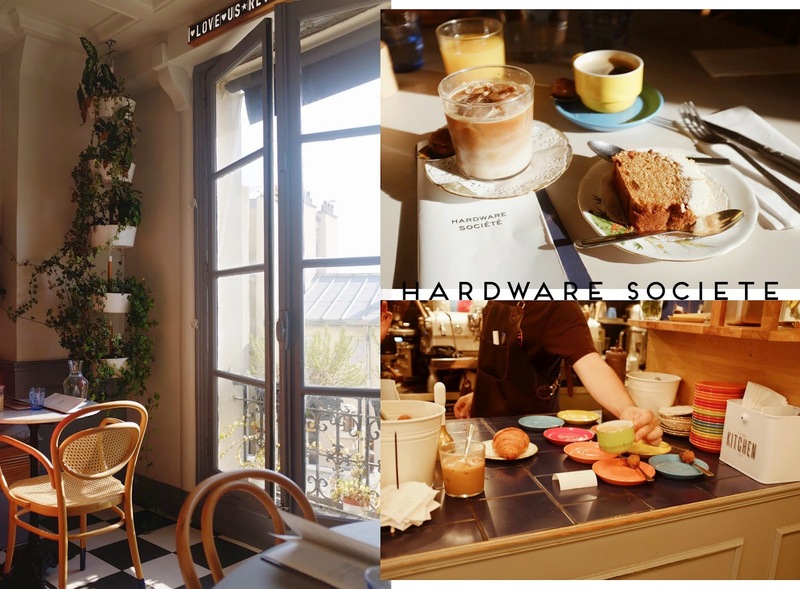 Other coffee spots I recommend: Soul Kitchen and The Hardware Societe. Two. Wander. One way to travel is by walking around without an agenda. One thing I love about the city is how you can walk around and explore different areas. I always discover cool murals and shops when walking aimlessly in Paris. There are hidden, charming side streets that are often missed. I came upon Le Mur des Je t'aime while strolling Montmartre, a mural that has the words "I love you" written in 250 different languages. It's also in a small gated garden so you can sit down and have a bite while people watching or waiting to snap a photo. Three. Fan of A.P.C.? Shop at APC Surplus. I noticed this store while looking outside my uber heading to my airbnb. Discounted APC items, sadly I didn't find anything because I was in a rush. However, they do have a selection of clothes, bags, and accessories. Four. Eat at Hardware Societe. I came too late the last time I was here so I was only able to grab a cup of coffee. This place has been on my list to eat, and luckily I was able to get seated for brunch. I now understand the hype for this place! Amazing pastries, coffee, food, and service. Other recommendations: Le Consulat, La Maison Rose (or just a snap of it), Luuk (amazing Vietnamese food), Five. If you've never been to Montmartre (or have), here are some places that are not to be missed: Sacre Coeur and Place du Tertre. Oh and don't forget to stop by Pain Pain for yummy croissants and pastries!I would also look at this for other recommendations! 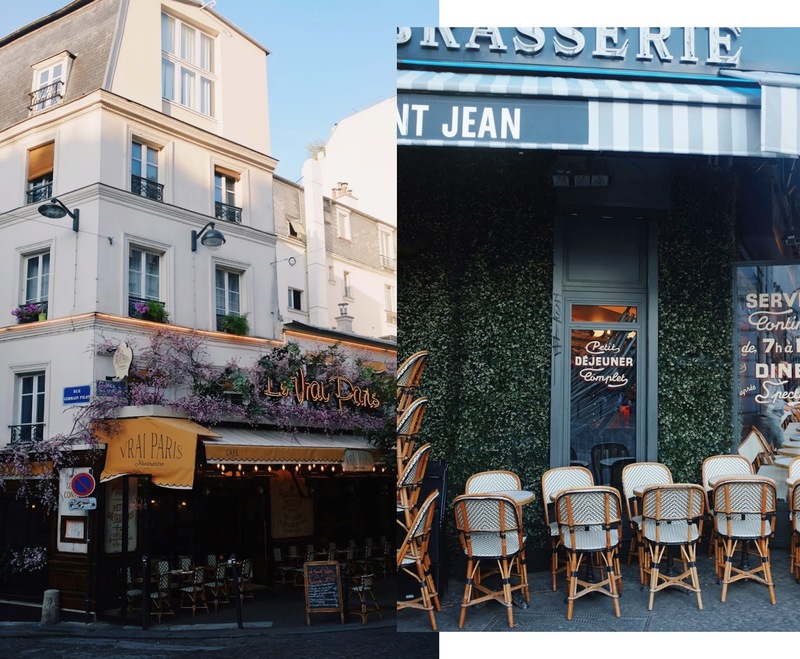 This post was from my most recent visit, and read this post for my favorite eats and cafes in Paris.